Paralysis analysis makes us own worst enemies. The frontal lobe controlling our decision-making has a tendency to self sabotage ourselves into a mental frenzy. In the end, we get flustered and resort back to our familiar cyclic patterns. This is you and this is me. Decision fatigue, the paradox of choice, call it whatever you like. In his 2005 talk, American Psychologist Barry Schwartz discusses this notion in-depth. He presents an economic term opportunity costs, where if we choose an option A, it will be necessary that we forego options B and C.
If I watch a movie with my girlfriend tonight… that means I can’t train at the gym nor catch up on some reading! I could start working on my Android app today… but that means I won’t be able to spend that time planning my next European vacation! How many times have you decided that you want to do something, then weighed up the alternatives and done absolutely nothing. Yes, that’s a rhetorical question. I’m certain it would be more than a few times. Choice makes people miserable is an idea brought up in the video. This should be perceived as completely antithetical to the wonders of having everything at our fingertips! With more choice, there should always be something better…at least that’s what we tell ourselves. Unfortunately, this isn’t always true. A famous study described by the New York Times was conducted in 1995 by Sheena Iyengar, a Business professor at Columbia University. In a Californian gourmet market, there were two groups of jams set up; a collection of 24 and collection of six. Only one group was displayed at a time and the two (large and small) were rotated between every few hours. While customers actively tasted the jams regardless of the group size, 60% stopped at the large group while 40% stopped at the small group. However, based on the purchases made; there was a 30% chance of the customer buying a jam from the small group compared to 3% chance from the larger group. This demonstrates that a fourfold increase in selection resulted in a tenfold decrease in sales! Mind blowing. This mentality is also known to hinder us in all areas of life outside of the market place. Ranging from dating, Netflix decisions, right up to pondering whether you’d like that delicious chocolate-mint ice cream from the shop right here, or the three new flavors offered by another store close by. In terms of goals and objectives, something is better than nothing. Just because there’s a myriad of available options, don’t throw your arms up in the air and do naught. In an interview, Will Smith presents an interesting analogy with respect to beginnings of an endeavor. Despite the title of the video directly contrasting my opinion on motivational videos, his message absolutely should not be ignored. You don’t set out to build a wall. You don’t say I’m going to build the biggest, baddest, greatest wall that’s ever been built. You don’t start there, you say I’m going to lay this brick as perfectly as a brick can be laid. You do that every single day… and soon you have a wall. And I think that psychologically, the advantage this gives me over my competition is that it’s difficult to take the first step when you look at how big the task is. The task is never huge to me, it’s always one brick. This notion bares a close resemblance to the Japanese art of Kaizen (“improvement”), where small, incremental changes are made for the overall benefit of a group of people or for the self. Get 1% better every day is another expression you may also hear. When this approach is taken, I promise you that paralysis analysis will no longer continue to occur. Although there’s an emphasis on “building a wall” perfectly from the beginning, this implies that it’s exactly what you’ve chosen to do based on some (presumably) earlier experimentation and uncertainty. 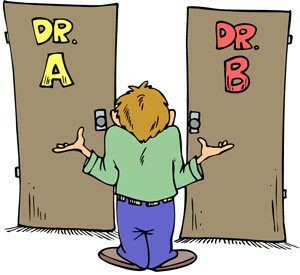 While you’re working out what exactly it is you wish to be doing, it’s OK to make a wrong choice or two along the way. Of course, at the beginning you’re not aware that it may not be a desired choice in the long-term. Here’s the good part. Whatever you decide to do — tell nobody about it. Hearing inevitable compliments from others about “how good it is” that you’re beginning something will give you a similar sense of satisfaction akin to what you would experience if you completed said task. However, these compliments are undeserved because you haven’t started anything. On the flip side, hearing negative remarks about your idea might throw you off altogether — especially if you have a bad history of following through with commitments. This makes talking to others about it at the beginning a potential lose-lose. While I freely talk about mistake making, I’m under the assumption that everyone is aware of the varying magnitudes of a worst case scenario. The best mistakes or wrong choices, ideally, will be of a small-medium scale. Let me present two scenarios. You want to get stronger and lose some fat. Action: After some extensive online research through the 226 million ways to get stronger, you settle on Mark Rippetoe’s tried and true Starting Strength program. Experience: You need access to a gym to use barbells, dumbbells and a squat rack. You buy a fortnightly membership because you’re still uncertain if this is the kind of program you would like to do. The gym itself is 15 minutes from your home which adds some extra travel time into your day. After following Phase 1 closely for 2–4 weeks and building up your deadlift, squat, bench press and overhead press you decide that the travel time to the gym is too taxing on your schedule. You also find that committing to only 3–4 lifts isn’t quite doing it for you and that regularly varying your exercises might make things more interesting. Cost: One month of time and two fortnightly gym memberships. Gain: Foundational knowledge of weight lifting, experience with weighted compound movements and confidence that saw through one phase of a program, albeit one you choose to no longer continue. You probably even gained some muscle along the way. Action: You wish to stop renting so you hit the real estate market in search of a new home for your family. Experience: Due to being “too busy”, you do minimum research, find a place in another state that is within your budget and subsequently purchase it at auction using a buyer agency. You uproot your family, move interstate and settle in. Due to a lack of due diligence, you are not only hit with a mortgage, but high interest rates and added repayments you didn’t know about push you above the limits of what can be afforded. Cost: Time, savings, a job you may have quit to make this all happen and a likely default on your mortgage. Gain: A temporary new living arrangement. The age old saying I’d rather try and fail than not try at all holds up wonderfully here. Of course, this comes with a strong caveat of ensuring mistakes don’t come with life changing consequences as above. With that being said, we all have a different tolerance to risk in this regard. In my personal experience, if you’re able to hold down whatever you’re committing to for around 6–8 weeks consistently then it has become a fixture in your life. We’re not talking about short-term promises or poorly planned objectives here. This is real stuff that I believe in the long-term, will make you a much more fulfilled person who has faith in their ability to plan, commit and execute. Good luck. This article has made me realise why Apple stuck to limited amount of choices in their product line allowing them to take advantage of people settling for a ” packaged “option . Indeed, they do the thinking up front so you don’t have to. This makes it a pretty straightforward choice.